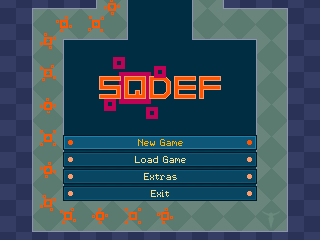 Sqdef is a tower defense game for the GP2X handhelds. 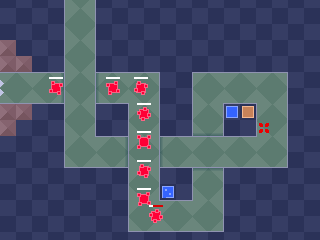 The goal is to prevent enemies from getting from one side of the map to the other by placing towers along their way. 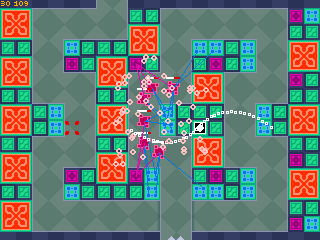 There are over a dozen different buildings with upgrades, tech research, and a whole lot of maps! 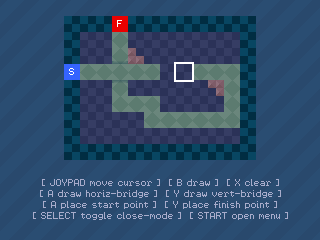 There's also a built-in editor so you can make your own maps and share them with others. 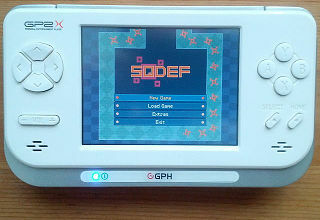 Sqdef won 1st place in the GBAX 2007 Coding Competition and is a GP2X Wiz built-in game. 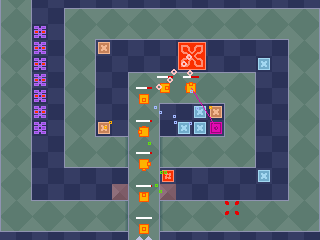 Sqdef 1.4 added map bridges, making new map designs possible. Every game needs a title screen! 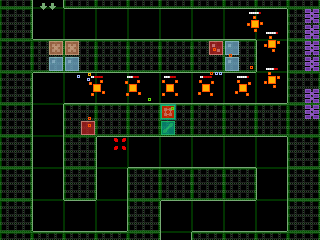 ...while Armories boost every in-range tower's damage by 50%, making it easier to take out those tough bosses. 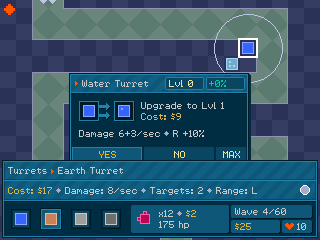 Showing the upgrade window and over it the main HUD, which you can toggle on and off. 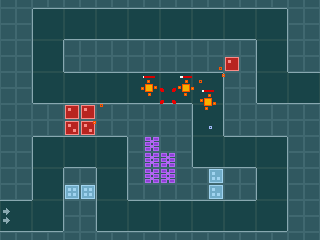 You can make new maps with Sqdef’s editor! 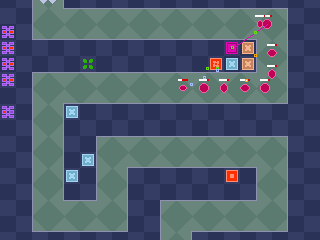 You can zoom in to place stone tiles. An upgraded Scythe can deal some serious damage, especially when helped by Armories. 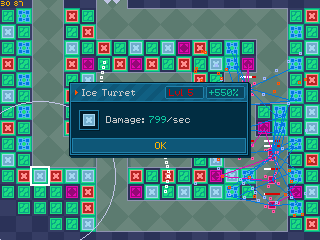 A max-upgraded Ice Turret enhanced by 11 Armories. 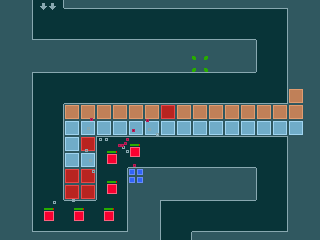 The first playable build! The towers shoot and miss. 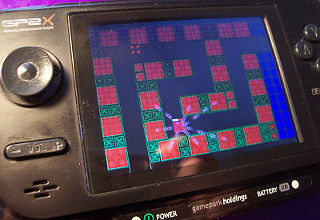 At this point everything worked and the game was playable. 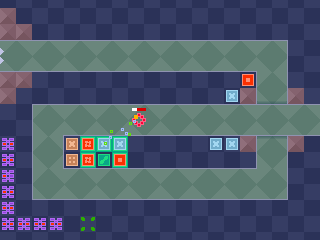 I settled on darker colours that are easy on the eyes. 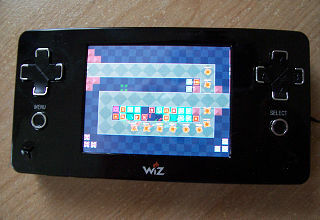 This is how the GBAX 2007 release looked like. 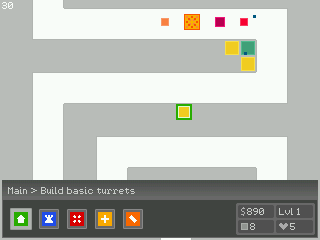 Version 1.2 changed the colours and introduced the map editor. 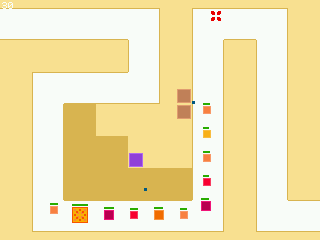 Version 1.4 has improved graphics and map bridges.